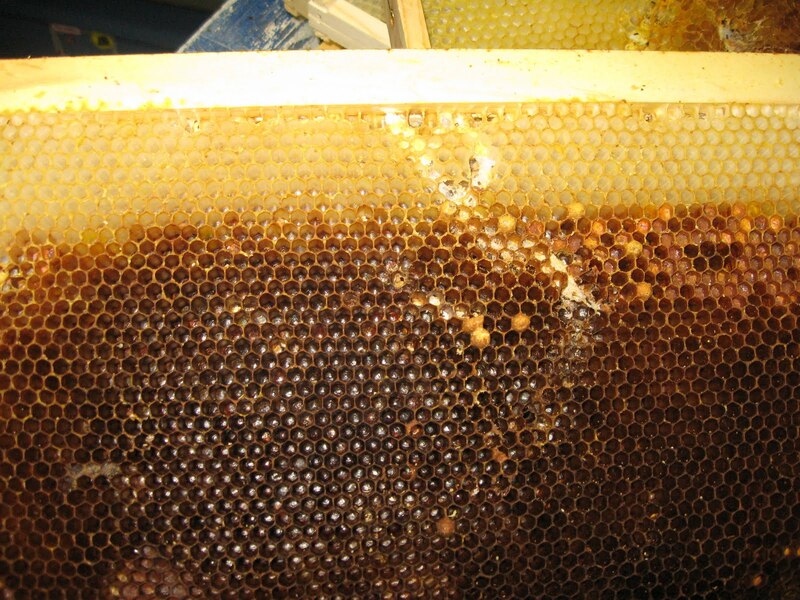 Been getting a number of calls over the past couple weeks about swarms or newly formed hives. 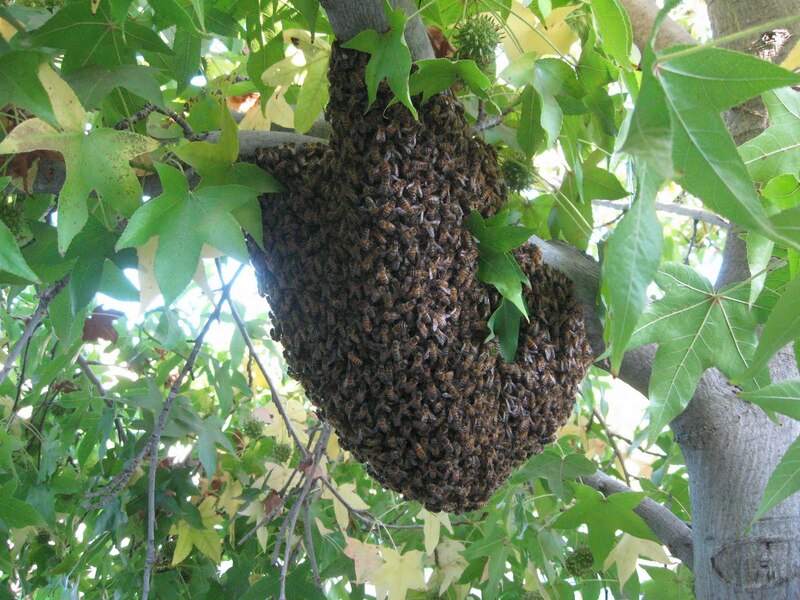 The odds are stacked against a hive swarming right now; food sources are drying up, especially in the hills where there's virtually a total dearth. 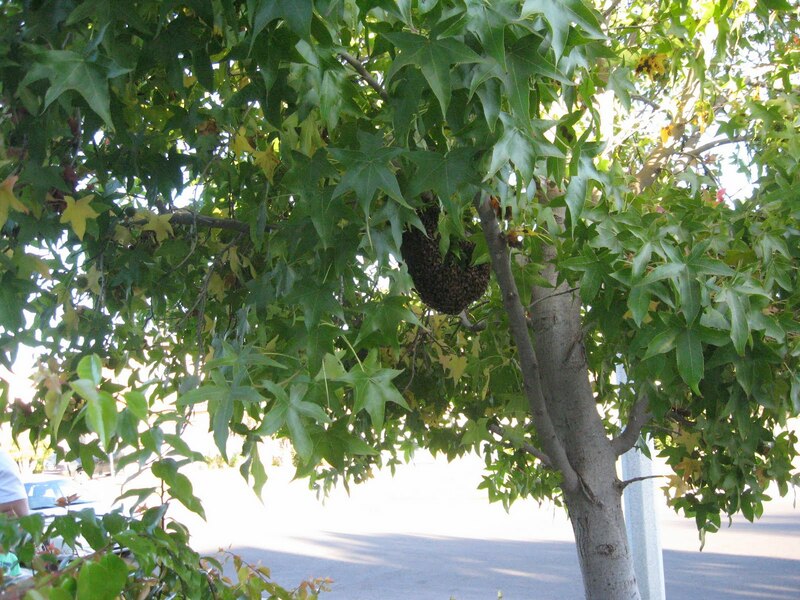 Obviously, suburban neighborhoods offer more options for bees, but still--- not much blooms in SoCal in September. It'll be a few more weeks until some of the eucalpytus kicks in, and I have seen some rosemary and red sage showing some early fall blooms... but it may be too little to sustain a newly established hive from a swarm. That said, I got a call from Britney in Camarillo, a very nice woman who had an eye-hight swarm in her tree. I decided to go get it since I've had some deadouts recently (more on that later) and it sounded simple enough. It was, thanks to Britney and her husband supplying a few random tools I neglected to bring along. I've noticed that my swarms do better if I immediately get them into a hive box, as opposed to bringing them home in a cardboard box and then shaking them into a hive box. So that's what I decided to do this time. Interestingly, they were gathered on the crotch of the trunk and a fairly thick branch on what I think is either a young sycamore or a liquid amber tree, so the first time I tried shaking them into a box not much happened, I didn't really budge them. I decided to get enthusiastic, and gave a really good pull--- and busted the branch right off! Which simplified things a bit--- I just carried the entire branch over to the waiting hive body and shook the bees onto the frames. I did a couple more passes at the glumps that kept reforming on the original swarm spot, brushing them into a box and then dumping that into the hive body. I waited until I saw plenty of fanning behavior, (the Nasonov pheremone I've discussed before), screened off the entrance with hardware cloth, strapped the hive into a single unit (bottom board, hive body, inner cover, telescoping cover), stuck the entire thing in the back of my Honda Element and headed for one of my beeyards. 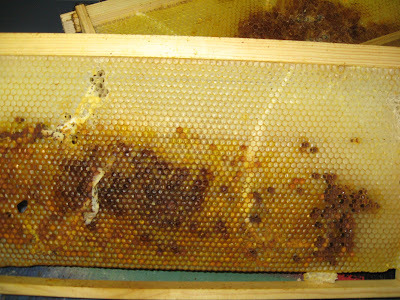 When I got to the beeyard, I saw that one of the nucs which held a previous swarm had failed--- either they bailed out, or they died out. Which makes it nearly a hundred percent failure rate for this locale in terms of going from nuc to hive--- six total nucs, and only one has survived to become a regular hive, and they're going strong. Don't know if the high failure rate is because of yellow jackets, (there was a nest nearby, which I recently eliminated) or they just didn't have enough food stores to prepare for the dearth. 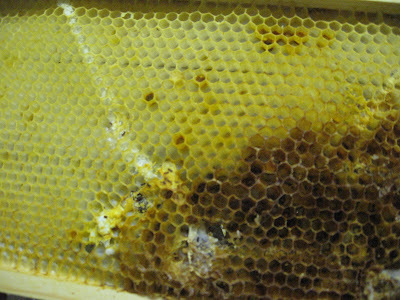 The hive that died was the one I got from the compost bin (you can see the story and pix on this blog). 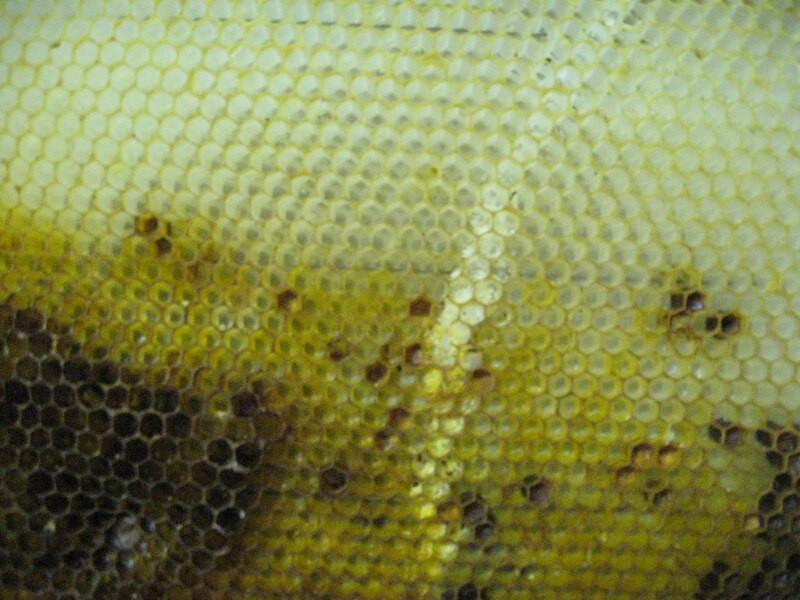 I had noticed what seemed to be a vastly disproportionate number of drones at that hive a few months ago; so I have a feeling the queen died and a worker became a drone layer. 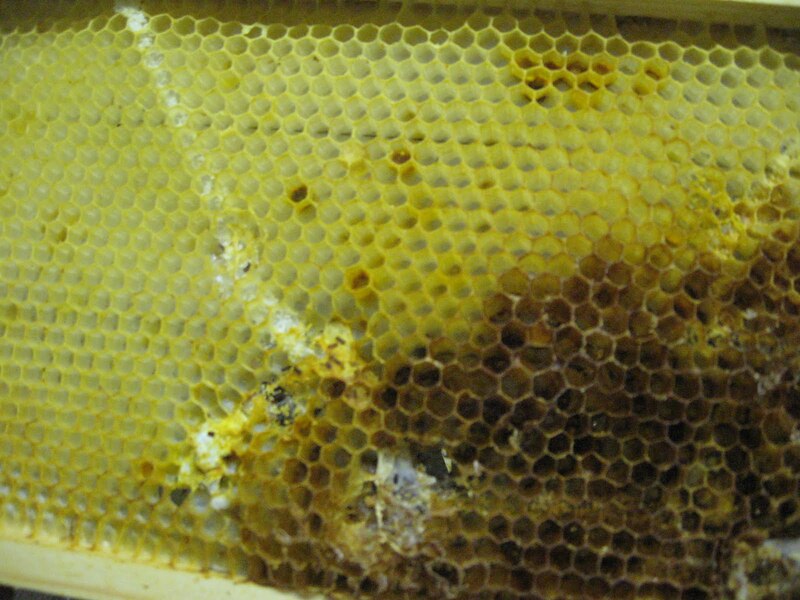 It happens sometimes; and once it happens a hive is doomed, because drones are useless to a hive. They do no work, they don't forage, they don't contribute in any way other than to go out and try to mate with a queen. Whereupon, they inject their sperm and die. What a way to go. Finally... ALL my honey sold out! I've got nothing for my two wholesale accounts until next harvest, and my goal is to double my output next year by splitting my hives and catching lots of swarms.